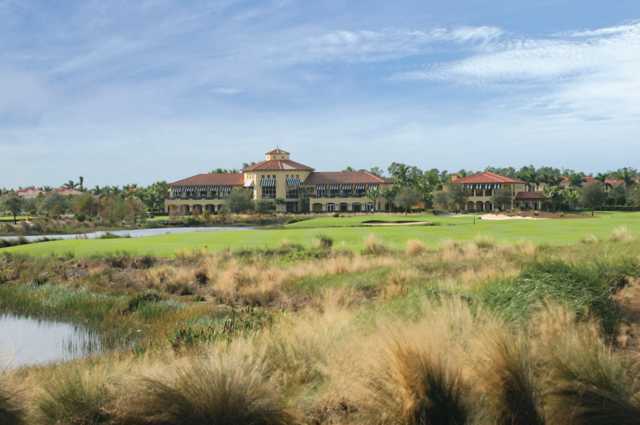 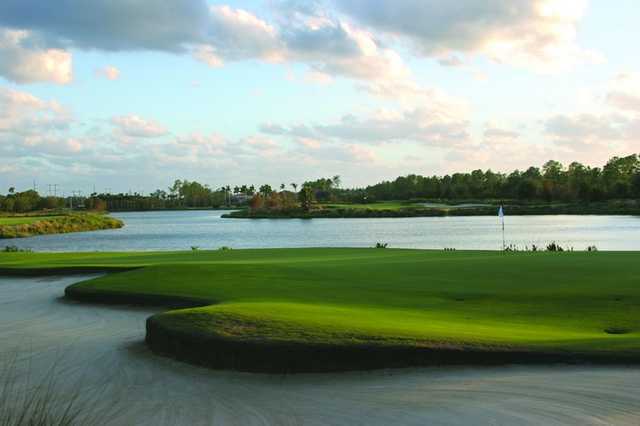 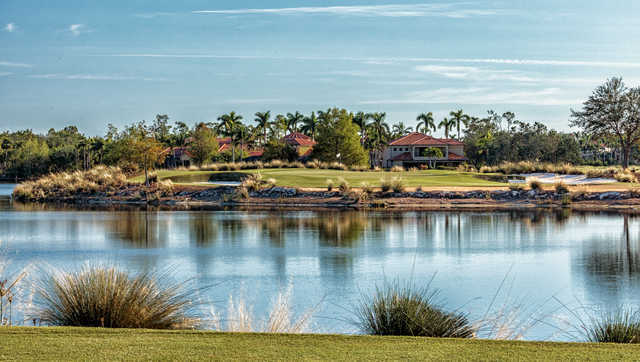 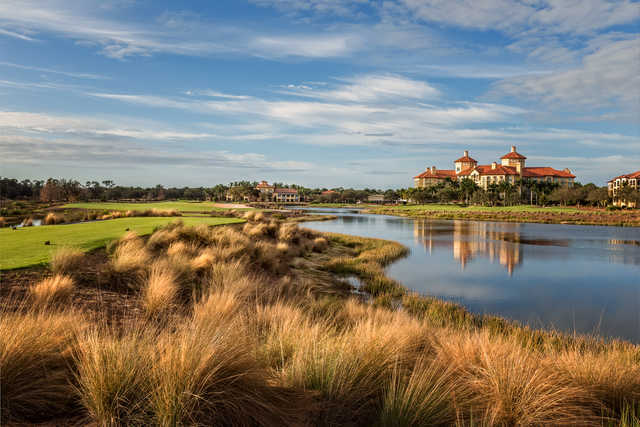 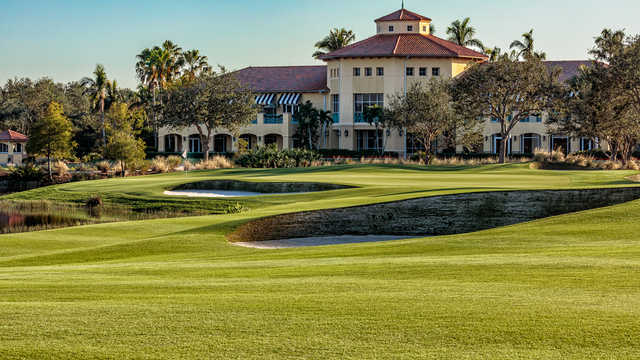 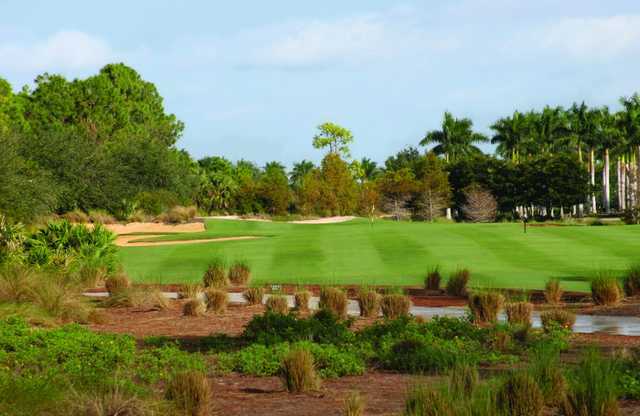 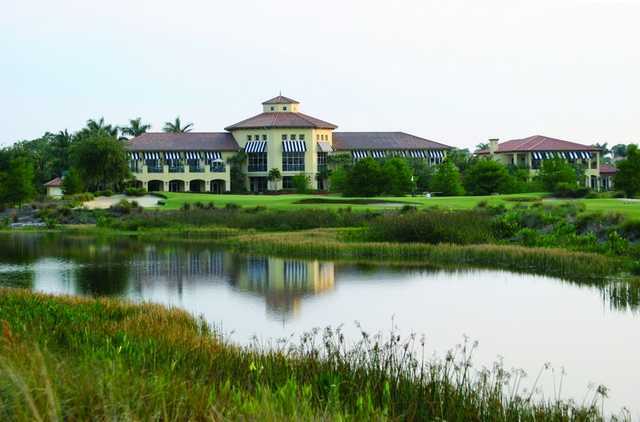 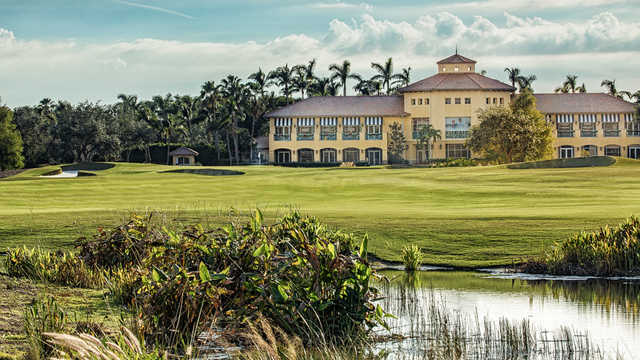 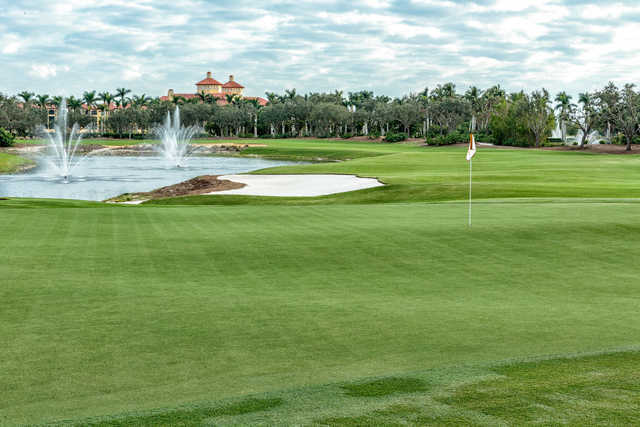 Tiburón Golf Club is home to two championship courses designed by Greg Norman. 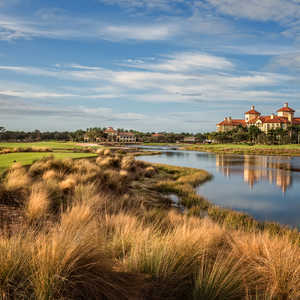 The two courses, the Black and the Gold, share similar characteristics but they each offer a different set of challenges. 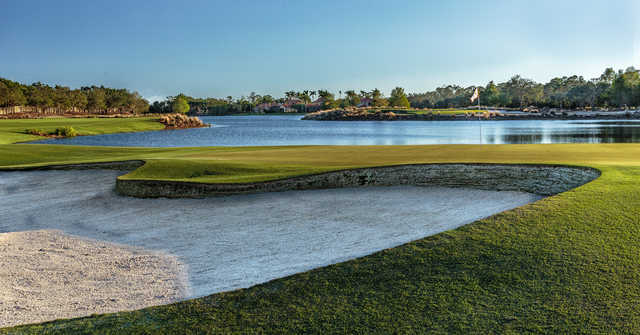 The Gold Course is slightly less demanding than the Black, the club's original layout, but that is not to say it'll be an easy round. 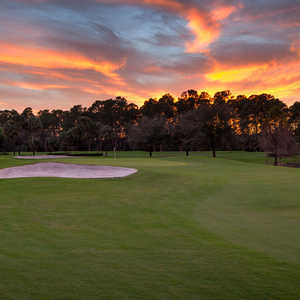 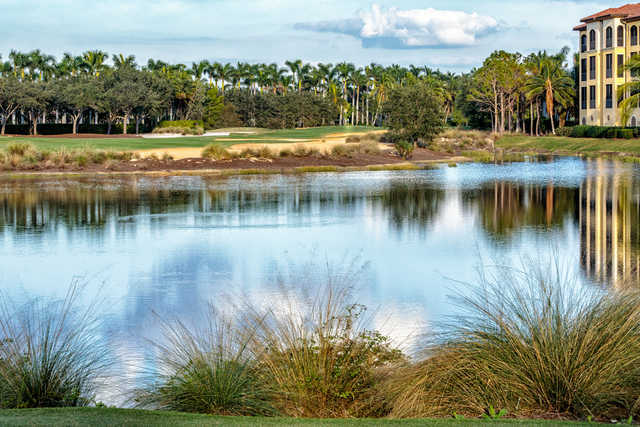 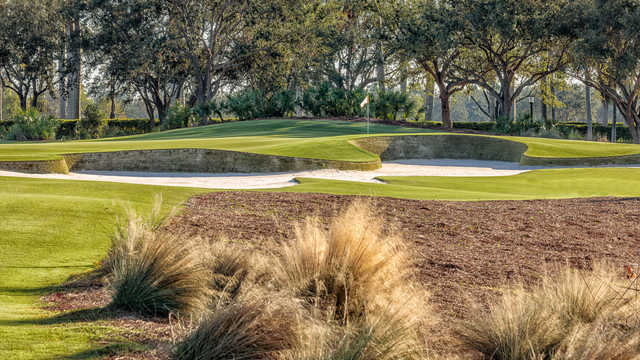 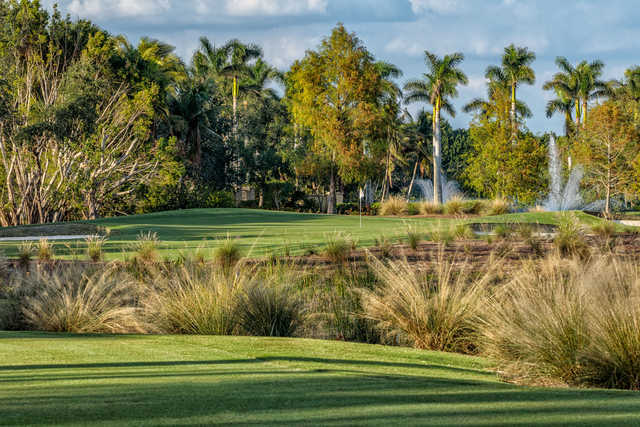 Golfers will face a variety of hazards including towering pines and a combination of stacked sod wall bunkers and coquina waste areas. 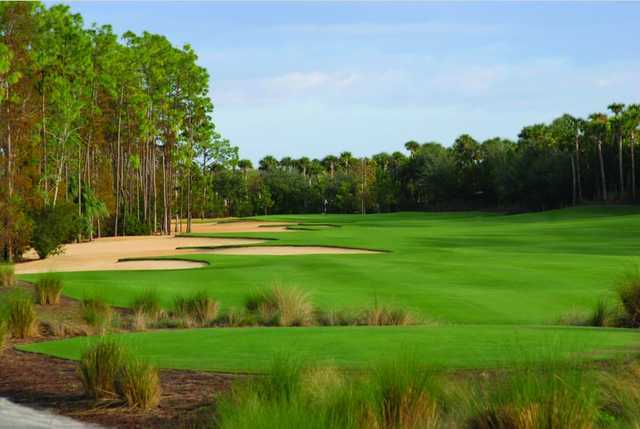 Water also comes into play on several holes. 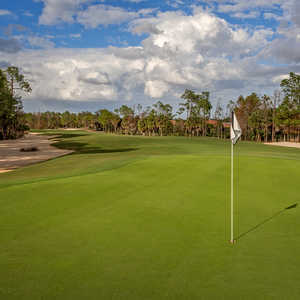 The golf course opens with a risk-reward par 5 that is nestled amongst tall trees. 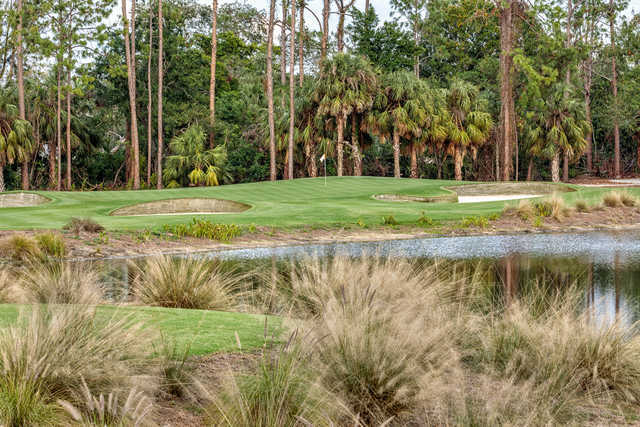 The hole flows to the right then bends back to the left, winding around a large lake. 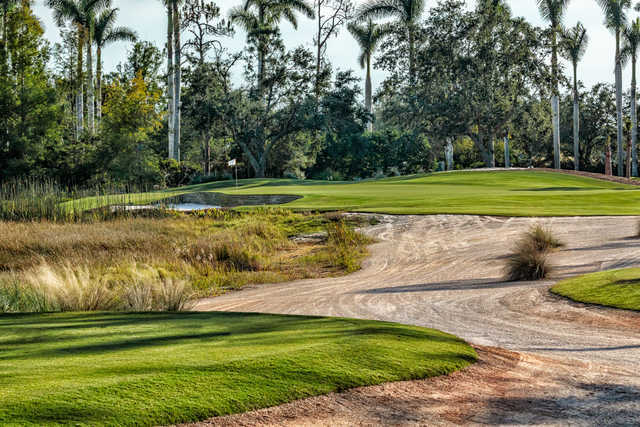 Long hitters may be tempted to go for the green in two, but beware because it's surrounded by trouble on all sides.